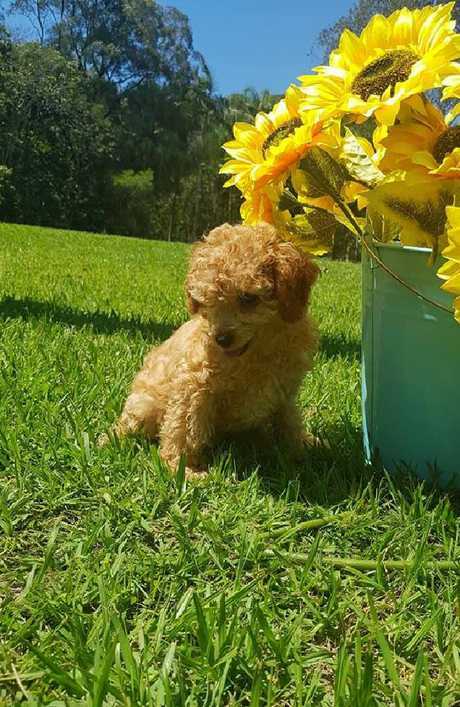 SCARLETT Faith is an apricot, miniature poodle who melts hearts. She's also blind with spinal issues but has found love and acceptance at a unique refuge. Her new home is the Storybook Farm which caters specifically for animals with special needs and disabilities. It's the only place of its kind in Australia and the 12-week-old poodle joins 39 other cats, donkeys, goats and horses - each with their challenges. Founder Lisa-Jayne Cameron said Scarlett Faith was doing really well since she arrived two weeks ago. "She's incredibly intelligent and we're astounded at how quickly she has learnt her name," she said. However, the pup clearly has a number of challenges ahead of her and her disabilities are believed to be the result of a difficult birth. Miniature poodle, Scarlett Faith, who is blind and has spinal problems, has found a loving home at the Storybook Farm. "She has quite a long road of special care and many lessons to learn so that she feels safe and secure," Ms Cameron said. "The first thing you teach a blind dog is to feel secure in a world, which would frighten her. We stand by and make sure she doesn't get into any situation that scares her but she has to think for herself. "Despite her disabilities, Scarlett Faith is a happy, busy puppy who has been adopted by our special-needs pug, Frank, who absolutely adores her." The poodle's heartwarming story of finding safety and love at the refuge is typical of others in the menagerie and Ms Cameron is adamant all these animals deserve a fighting chance in life. "We love them all and they just need a helping hand," she said. 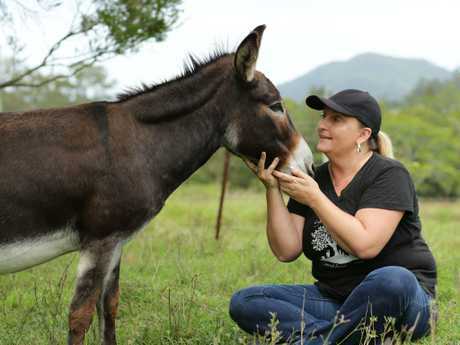 Lisa-Jayne Cameron shows some love to a donkey at Storybook Farm. Pic: Luke Marsden. 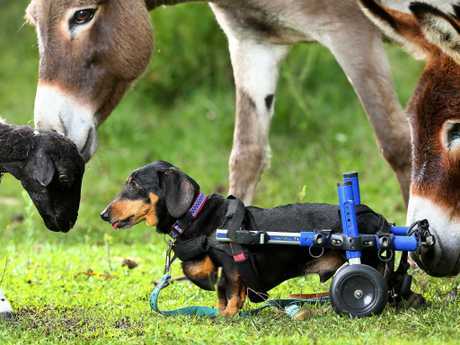 "They may be different from other animals because of their disabilities but they are also the same in that they can be cheeky and just as naughty," she said. "We recently had a two-seater lounge which had seen better days but the cushions were still lovely, so we gave them to the dogs to use. When I took a look this morning, there was foam everywhere - not very appreciative behaviour from them." Ms Cameron is assisted in her worthy endeavour by her daughter, Alexandria, 20, while her son Jonah, 14, helps out when he's not doing his school work. "We also have an amazing support system of volunteers and we work closely with vets," she said. 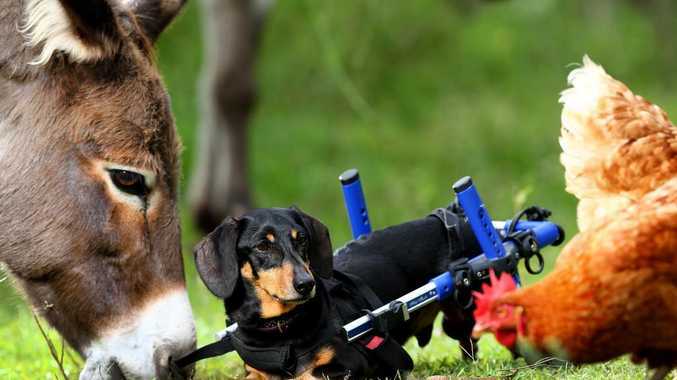 Storybook Farm was founded by the animal lover in 2012 when her beloved dachshund, Mr Waddles, became paralysed. "To our horror, we discovered there was nowhere in Australia to get help for animals with disabilities," she said. "Everything I learnt came from America and England, so we decided to be the first in the country to offer this help. We're still the only refuge in Australia that is devoted to animals with special needs. "Mr Waddles is nine now and he's walking on his own but also have our wheelie dogs." The 40 animals under the wing the refuge live with Ms Cameron or are in foster care. "We also do home visit and we teach people how to care for their special-needs animals," she said. "Our goal is to become a one-stop area for animals with special needs." 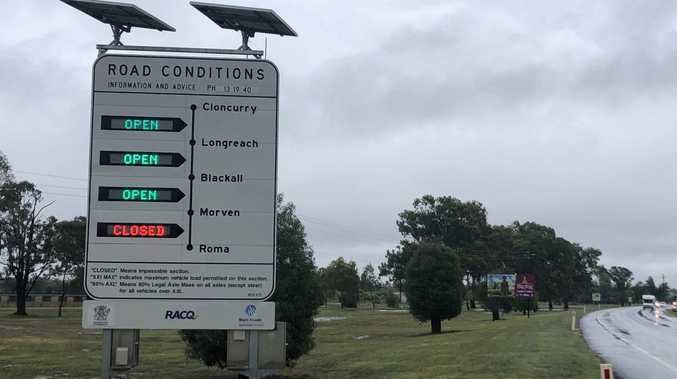 Ms Cameron is looking for a new 20-25 acre site - preferably on the Gold Coast - with kennels on acreage and a property that she can buy down the track. "Like most sanctuaries, we're doing it tough. We get no government funding, so we rely on donations and our fundraisers at markets. We were at the Brisbane Dog Lovers Show at the weekend." Update March 2019: This farm has since been raided by the RSPCA.